Register for the upcoming 2019 Mission Critical Fire Protection Conference in Orlando! Companies with many facilities spread over a large geography are looking for one vendor who can provide a full range of services anywhere with just one phone call. In 2000, ORR Protection filled that need by establishing its National Account Program. ORR’s successful formula paved the way for growth from a respected regional fire protection company to the national industry leader it is today. ORR Protection designs, installs, commissions, services, repairs, modifies, and decommissions equipment for fire detection, alarm, and waterless suppression. ORR Protection also provides inspection & testing and emergency service for sprinklers (wet, dry and preaction), portable fire extinguishers, emergency & exit lights, water mist and foam suppression systems. Turnkey fire protection systems management offers a way for our customers to issue one order and correspond with one person who manages the process of ensuring their systems are serviced, maintained, and ready to perform if needed. 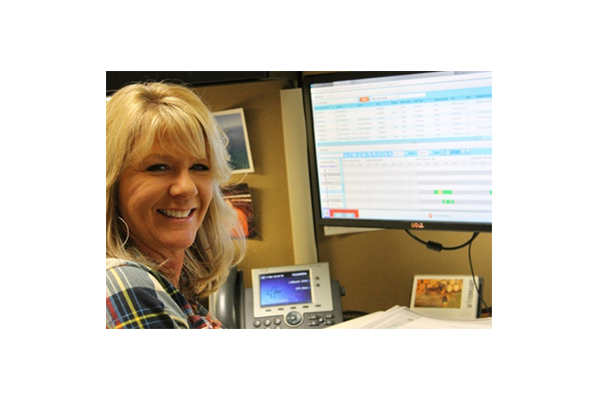 Every customer is assigned to a full time National Account Coordinator who serves as ORR’s Single-Point-of-Contact for all services. ORR has the ability to service any type or brand of equipment. As a distributor of most major brands of fire protection equipment, ORR has ready access to parts and factory training. ORR self-performs work in most states. ORR has an established network of partner companies to supplement ORR’s workforce, leaving no gaps in coverage anywhere/anytime. Embracing it is not enough. The key is intelligent application of information technology in ways that add value for our customers. One example is how ORR has centralized information, serving it out to regional offices and remote technicians on-demand. Systems now in use have enabled ORR to evolve a virtual National Account Service organization equipped with knowledge of every building under contract. This, combined with dedicated National Account Coordinators, supports ORR’s ability to respond quickly anywhere in North America. In any operation, the quality of the work completed is significantly impacted by the skill of the individual performing the work. At ORR, all of our operations, from sales, to design, to project management, to back-office, to service are structured to meet our ISO 9001:2015 compliant Quality Management System. Go where the customers are! ORR is continuously growing its field workforce in areas where we have customers. Growth has come in the form of acquisitions of other fire protection companies, and strategic placement of technicians who work remotely from ORR’s regional offices to put them closer to our customers. In comparison with other companies that serve the niche market for mission critical fire alarm / detection / suppression NATIONWIDE, ORR Protection is one of the largest. While other fire protection companies focus primarily on system sales and suffer from downturns in the economy/building industry, ORR Protection continues to enjoy profit and growth. ORR’s successful strategy has been an enabler for expansion by acquiring other fire protection companies and opening new offices from the ground up. …you have more facilities than you can effectively manage. agent, portable fire extinguishers, foam systems, etc. …the type and scope of equipment used to detect and suppress fires in your company's buildings varies widely (or you don’t know what equipment your buildings have). … fire protection coverage and documentation is inconsistent or missing. …you want to standardize fire system Inspection/Testing/Maintenance operations corporate-wide. …you want professional service available 24/7 for emergencies. …you want one knowledgeable point of contact you can call to handle any and all fire protection needs for all facilities. …you want one invoice for all fire protection services. …you want instant access to all fire protection system reports and records via the internet. …you want the tools to defend your company if audited by fire marshals, insurance companies, or litigants. …you want your on-site staff trained on what to do if the fire protection system experiences trouble, goes into alarm, or discharges. …you want access to recognized experts in fire systems design, installation, service, as well as the codes & standards that must be adhered to. …you want service technicians who are trained professionals focused on business interruption prevention. …the question, “Are these fire systems ready to perform if needed?” cannot be answered because the information that has been provided to your company does not validate (down to the component level) that work has been performed according to code and manufacturer’s specifications. …you’ve experienced the time, expense and frustration that goes into determining whether an unsuppressed fire or unexplainable discharge could have been prevented, and if it could happen again. Using the power of fresh and thorough information to convey to shareholders and customers that their company is taking risk management to a higher level without adding costly overhead. By turning ordinary fire system maintenance into a way to lower COST and RISK, ORR Protection customers can demonstrate Operational Excellence. topic (and we also bring lunch) at no cost to you! ORR Protection Systems will be America's preeminent fire protection company for businesses with mission critical operations. We will deliver exceptional value by providing innovative solutions, anytime/anywhere responsiveness, special attention to detail, and an unwavering commitment to customers and associates.